Gambling and laws regulating it in the UK has existed in some form or the other for centuries. In the earlier times there were laws that defined who could not gamble, and then there were laws banning the existence of private lotteries as well. We have dealt with those issues on the page dealing with a history of gambling in the UK on our site. In the 20th and the 21st century in the UK, the laws relating to gambling are straightforward and easy to understand. On this page we take a look at some of the important laws relating to online gambling in the country and what the future holds for the gambling industry here. The 15th century to regulate who could gamble in Great Britain. The 18th century (1721) to ban private lotteries. We will not discuss these at length on this page. Here we talk about the different gambling laws that have been passed in recent times to regulate online, mobile, and land-based gambling in the UK. The first proper and official law that resulted in a significant change in the gambling industry in the UK was the passage of the Gaming Act in 1845. The passage of this piece of legislation became possible thanks to the formation of the Select Committee on Gaming in the House of Lords in 1844. This was followed by the passage of the Betting Act in 1853. These two acts together ensured complete regulation of gambling in the UK and made it unavailable to the working class. As a result of the passing of the Gambling Act, the United Kingdom Gambling Commission (UKGC) was formed. This body regulated all forms of gambling. In 2013, the National Lottery which was outside the purview of the UKGC was also brought under it. The Gambling Act allowed casino operators to offer online casinos to UK players. These included local casino operators as well as overseas or offshore operators. However, there was a feeling in government circles that there needed to be an independent licensing jurisdiction in the UK itself that operators needed to approach for servicing players there. That led to the next major law related to online and mobile gambling in the UK. The latest law that the UK Government has passed to regulate gambling in its various forms is the Gambling (Licensing and Advertising) Act. This Act was introduced before Parliament on 9th May, 2013 and passed as legislation on 14th May, 2014 after approval by Royal Assent. All gambling operators have to obtain a license from the UKGC to offer their services to UK players. This includes both new operators as well as existing operators. Submit an application and also pay a fee for a continuity license till the UKGC license is approved. The DCMS has registered almost 1000 applications so far. Over 150 companies have applied for continuation licenses. A number of overseas operators have begun moving their players to UK-based platforms. Block UK players from their brands and move them to other casino brands owned by the group or by an associate. We are also more likely to see overseas operators slowly settle down, get their licenses approved, and continue catering to UK players. Do professional gamblers have to pay tax? Does the Gambling Commission guarantee your payouts? Find out the answers to this and more FAQs in this article. The Licensing and Advertising Act of 2014 has been the subject of many questions with UK gamblers, especially ones regarding income taxation and legality. If you too are having concerns about gambling in UK casinos, take a look at the following answers to the most popular about UK gambling legislation and put your mind at ease. What’s the Minimal Age to Gamble in the UK? The minimal age to gamble in the UK is 18. The same age is accepted as the minimum in all gambling venues, be it land-based betting shops, casinos, and bingo halls, or online gambling sites. Per the UK gambling legislation, lotteries are considered a form of gambling as long as they are run for personal or commercial gain but also heavily advertised. Thus, if you participate in a lottery that is promoted on a national scale, via telephones or electronic channels, you will, technically speaking, be gambling. What Does the Gambling Commission Do? The UK Gambling Commission is the regulatory authority of the United Kingdom that oversees all forms of gambling and issues licenses, as prescribed by the Law. Its key role is to ensure all license holders meet the strict regulatory requirements regarding game fairness, problem gambling protection, financial security, and other similar factors aimed at protecting UK gamblers, apart from enforcing and improving legislation. How does the UK Gambling Commission Define Online Gambling? Any form of gambling which uses remote means of communication like television, internet, telephone, radio, or other electronic devices that facilitate communication is considered “remote gambling” by the UK Gambling Commission. So any “remote” event where you have to wager real money on an uncertain outcome in order to gain profits is basically remote, or online gambling. Are my Winnings Going to Be Taxed? How Does Taxation Work? Ever since 2001, any winnings won online or offline have no taxes applied to them at all and thus needn’t be declared on your tax returns. The previous 6.75% Betting Duty was abolished by Gordon Brown, the then Chancellor of the Exchequer, who introduced the change as a way to stimulate bookmakers not to move their businesses outside of the UK. Instead of taxing gamblers, with the introduction of the Licensing and Advertising Act of 2014, the UK government instead turned the tax on operators. The newly-introduced “point of consumption” tax implies that anyone offering gambling to UK residents needs to obtain a license and pay taxes. Does the Gambling Commission Guarantee my Gambling Winnings? No, it does not. What the Gambling Commission does is to inspect a prospective operator for eligibility to become licensed before it issues an official license. As per the license requirements, operators are obliged to explain to players how and if they protect their money in case of failure. 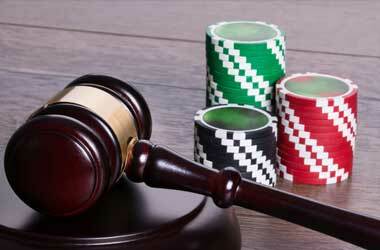 Gambling debts are also considered legal obligations by the 2005 Gambling Act. How can I Check Whether an Online Casino is Licensed by the UK Gambling Commission? If you already have some casinos in mind, you only need to scroll through their main page and find the UKGC watermark. The Gambling Commission has enforced a rule saying that every casino must display a link to the UKGC website. By clicking this link, players should be re-directed to their license page and find information regarding what games the casino is licensed for, but also whether there’s any action taken against it. And if you can’t find the watermark, you can also head down to the UKGC website and find a registrar of licensed casinos as well as those that are blacklisted or have expired licenses. As prescribed by the Law, any casino or gambling site must verify your information and address in order to confirm three things. The first is whether you are of legal age or not, the second is whether you’re residing in the UK or not, and the third is whether you have self-excluded yourself from online gambling. The verification is normally done by checking your information against a player database, like the polling register. And If the casino still isn’t sure of your credentials, you might be asked for scans of documents like driving licenses, bills, or IDs and passports. If they are unable to verify your credentials by no more than 72 hours, your account will be frozen until the matter is cleared. Do You Pay Tax If You Are a Professional Gambler? No you don’t. The same taxation rule is valid for both those who gamble leisurely as well as those who do it for a living. However, if you’re a professional gambler from the UK but you live in another country, you might be obliged to pay taxes. How Do I Know Online Casinos Are Fair? The fairness of a casino is ensured by the licensing process the UKGC conducts. If an online operator can’t prove it offers fair games, the gambling site will not be granted a license from the regulatory body. This is normally done by inspecting the RNG (Random Number Generator) for any shady practices.